Does the paint on your Hunters Creek Village home's interior walls look drab and dingy? Are you hoping to add personality to your home without spending thousands of dollars on remodeling and updating? If so, painting the interior of your house in Hunters Creek Village may be the answer. Once you've decided to hire a painter, the next step is to FIND a reliable Hunters Creek Village Texas interior painting contractor. In the painting profession for over 4 years, Palmer Pro has built a reputation as an industry leader. Give us a call today for a free painting estimate: (832) 410-1868. Sometimes a coat of paint can hide minor drywall damage, but most damage must be repaired before painting begins. Luckily, Palmer Pro offers drywall repair in Hunters Creek Village to repair walls. Dings and cracks will be properly filled, sanded and sealed. 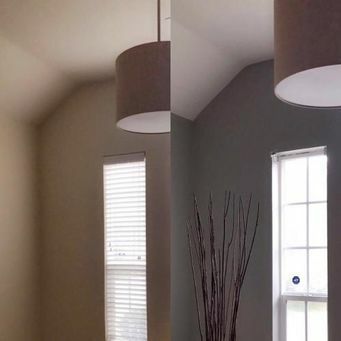 For quality interior painting in Hunters Creek Village, look to the experts at Palmer Pro and put our 4 years of experience to work for you.